If you would like to go paintballing near East London area Mayhem Paintball is your place, being 15minutes from the heart of Stratford on the London central line you are only a handful of stops away. We offer a free minibus pick up from our Local Central line Tube station. Whilst being the closest and the very and voted Number one paintball site in London with 16 fantastic playing areas with a range of amazing ex-military Battle Tanks, Sea King helicopters, scud launchers, army vehicles and much more! Mayhem offers great value for money with the very best in paintballing equipment, facilities and staffing. We are the only paintball site in the UK that provides all customers with tailor made, thermal double glazed goggles to stop them steaming up! We also have standing car park for over 400 cars, brick built showers & toilets so if you’re looking to head out after all you need is your towel :) Mayhem is accredited by the UKPSF (which is the governing body of paintball in the UK) For Stratford paintballing i believe there is no better venue than Mayhem Paintball Games. I can guarantee you will not find a better site in or around London. Feel free to visit us, we are just off the north circular if you want to drive from Stratford. 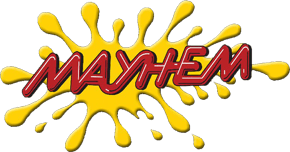 For Stratford Paintball, Mayhem is a fantastic paintball Venue please check out our website.